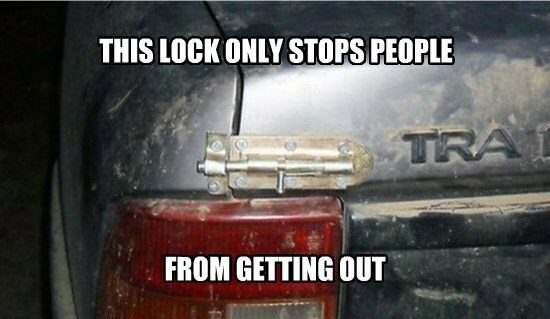 Maybe it's just used as a latch instead of a lock? Maybe? Or maybe our intrepid photographer was lucky to get away.